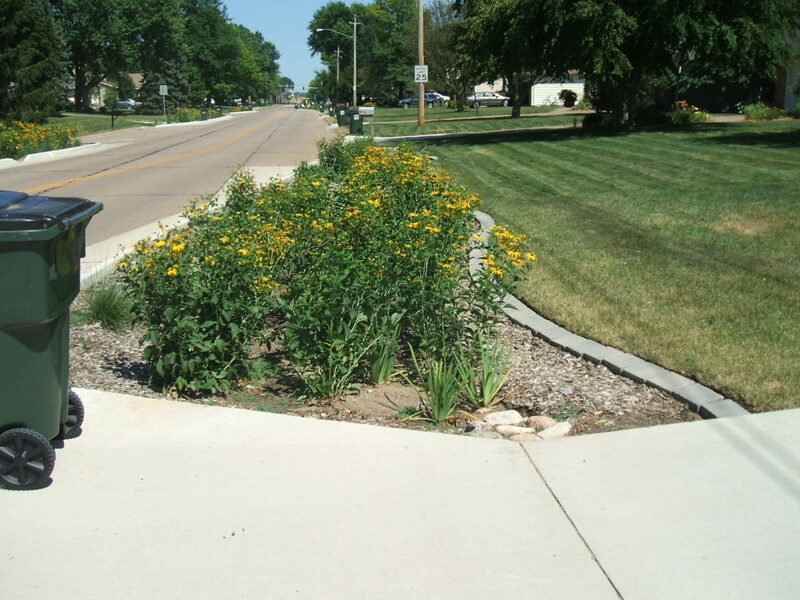 Bioretention cells are landscaped depressions that capture and infiltrate stormwater runoff from impervious surfaces. They are used to reduce water pollution and runoff volumes. Bioretention cells have an engineered and constructed sub-grade to ensure adequate percolation of captured runoff. 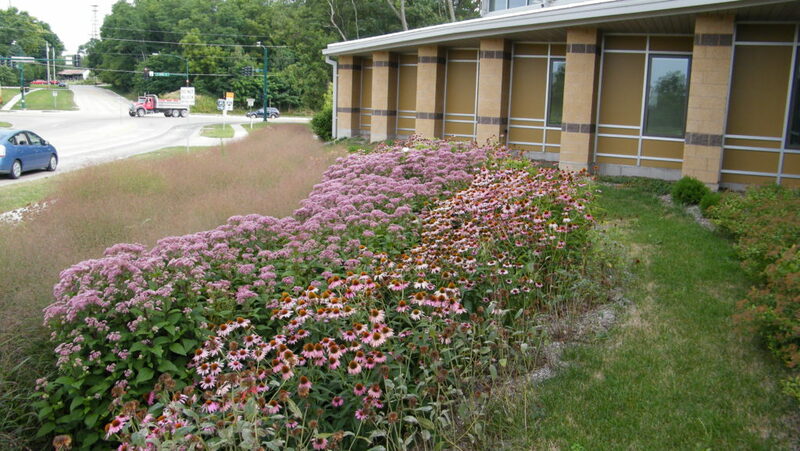 Bioretention cells can be used in most settings, including parking lots and residential areas, where soils don’t adequately drain. They use plants that can tolerate mesic moisture conditions and periodic inundation. Native plants are encouraged because they have deep roots and maintain soil quality and pore spaces. A limiting factor for placement of a bioretention cell may be the lack of an outlet for the subsurface drain. 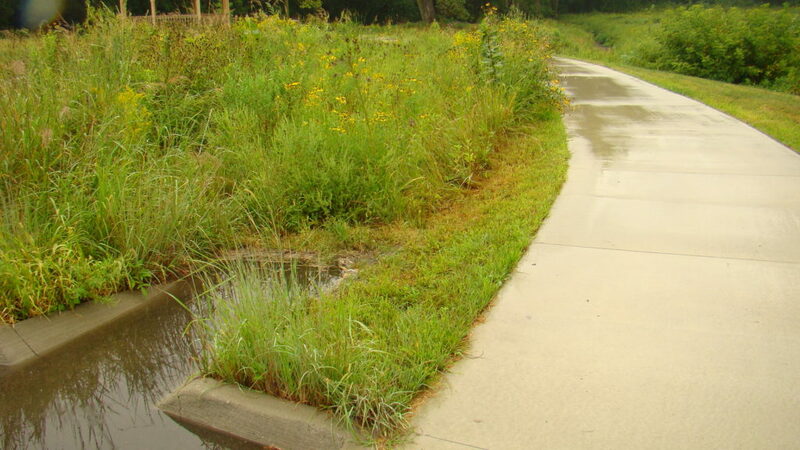 An outlet is necessary to ensure proper drainage and often drains into the storm sewer or daylights down gradient of the bioretention cell. Bioretention cells are needed when the percolation rates are not adequate enough to infiltrate at .50" per hour. An engineered soil mix should be used in a bioretention cell. Add soil mix ranges in the ISWMMM/Infiltration practices. The modified soil layer filters stormwater. Typically this layer is 18-30 inches deep and consists of a uniform mixture of 75-90% washed concrete sand, 0-10% approved organic material, 0-25% soil with a soil texture that includes A-horizon characteristics and meets specifications.